Description: A ball fountain stone is a great way to enhance on the architectural soundness of your fountains. The best way to make use of this ball fountain stone is to team them as a water fountain ball. They can help artistically either as a stone sphere water feature, water feature ball, rotating ball fountain, fountain sphere, fountain ball, or by using a marble sphere you can set up as decorative marble balls for a special marble sphere water feature. This fountain ball can be yours too, to set up any way you like. Why would you want to miss out on this great fountain ball décor, that’s just vying to be that rotating ball fountain in your garden? 181 - Fountains, especially water fountains that serve the great outdoors as garden fountains, can be up as an office water fountain as well by using architectural fountain designs brought to you by Topstone that can alter a large water feature and turn into a self contained water feature worthy of being called indoor water features. 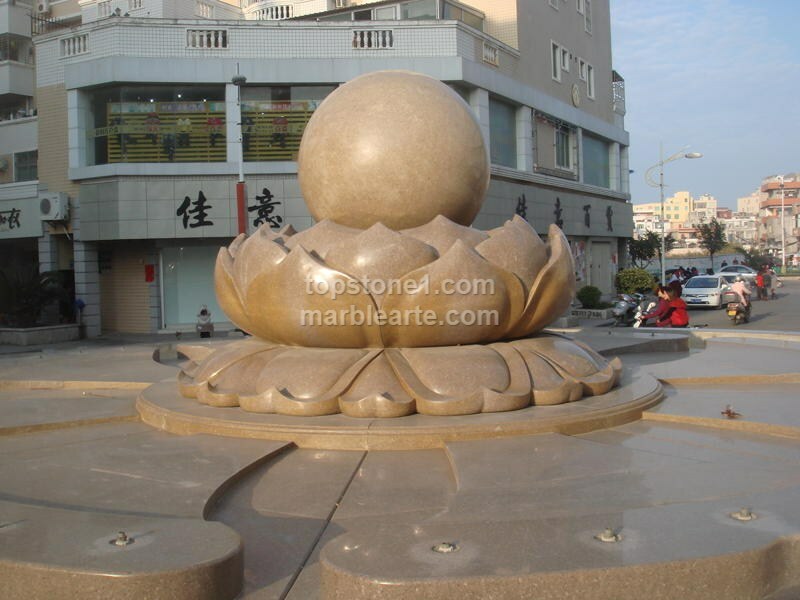 The use of granite balls and stainless steel spheres are another advantage of making use of architectural fountain designs. They also work really well with creating antique fountains.